Managing your income, savings, investments, payment obligations, and business ventures can be taxing work. 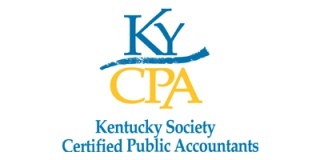 Save time and money by seeking professional assistance from Faith Tax in Pikeville, KY. We offer superior accounting solutions ranging from bookkeeping services to payroll assistance tailored to your unique needs and preferences. Are you setting up a new business? Do you need advice on investing? Perhaps you require taxation assistance? When it comes to your finances, be sure to partner with a CPA firm who will go above and beyond to help you. Entrust your accounting needs to Faith Tax today. Our team has 100 combined years of professional experience in this industry. If you have questions or comments about our company or the accounting services we offer, don’t hesitate to get in touch. You may reach us by phone, fax, or email. WHY PARTNER WITH OUR ACCOUNTING COMPANY?